Get Shorty ain't no page skipping book. Sometimes I feel I'm losing a race. So many authors. So many books. Too little time. 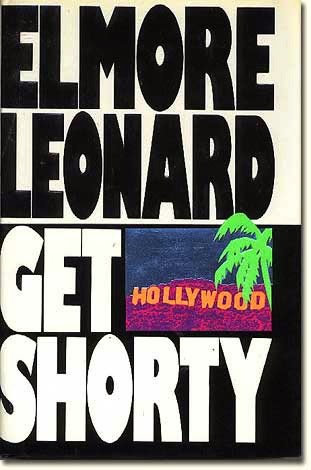 When Leonard Elmore died a few years ago, I made a promise I would get something read by him. I'm sorry it has taken me so long. I finished Get Shorty a couple of weeks ago. Admittedly, my choice of this particular Elmore was influenced by the fact a movie adaptation existed. I'm a sucker for those. Of course, I didn't watch the flick before I read the book, but I did allow John Travolta influence how I imagined the main character of Chili Palmer. Nothing wrong with that, is there? Get Shorty is a story about a shylock. Actually, it's about a good shylock and a bad shylock. No, that's not right either. It's about a good shylock, a bad shylock and a really bad shylock. Oh! And an actor who wants to play a shylock. The plot twists are certainly engaging enough with the setting mainly in Hollywood. And despite Elmore's genius criss-crosses in the story, that's not what I loved most about this book. Colorful characters and punchy dialogue. That's what loved. With gritty themes of greed, power, and violence, I found myself smiling through much of the text. Elmore was brilliant at depicting human foibles in the most comical of ways. Like when one loan shark is teaching another loan shark how to write a movie script. (How hard could it be?) They are both motivated to elbow their way into the movie business, but for different reasons. And both are very calculating men. You keep wondering if the scene is going to end with gunshots or a handshake. It doesn't end in either of those ways. But it wraps up with a funny piece of dialogue. 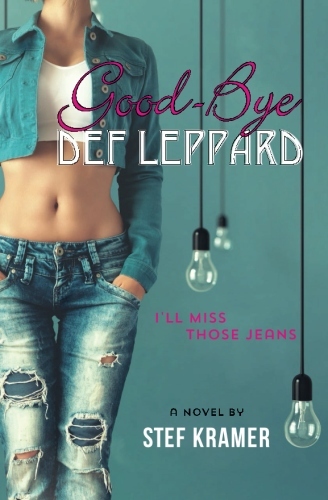 ..."you come to the last page you write 'Fade out' and that's the end, you're done." Chili said, "That's all there is to it?" Chili said, "Then what do I need you for?" Chili Palmer makes the book sing. He's kind of like Bugs Bunny–not terribly congenial, but awfully magnetic. And you can't wait to see how he's gonna get himself out of any particular situation–and there are layers of situations in this book. It's not just about collecting money. It's about finding one's place in the world of actors–the people who have convinced themselves of their own importance. No wonder I found myself siding for the mob guy. He was the most sincere character in the book. Endings are one of the best parts of a crime mystery. And it's not because I want the book to be over! It's because of the tightly wrapped-up resolution. No social issues hanging over me. Just a satisfied feeling from being engaged in a puzzle presented in the form of a great piece of writing. Thanks Mr. Elmore for that. Note: I watched the movie a few days after reading the book. I liked it almost as well. It's always a rush to see how the characters are cast. I had casted a Tom Cruise-type person as the actor. Imagine my amusement when I saw that the actor was played by Danny DeVito. And while he wasn't the main character, DeVito perfectly depicted how self-aggrandizing any one person can be. Conversely, Travolta's character, Chili, reflected how a mobster who was at least genuine can actually be a hero.